23rd MARCH 2018 ~ When in Penang, what would be the must-buy item to bring home? Preserved fruits. 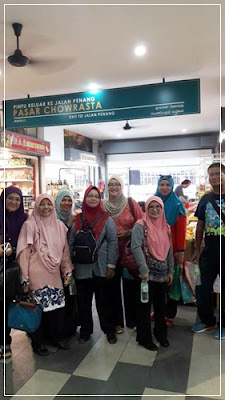 We were taken to this place called Chowrasta Market in Georgetown. The place was definitely a preserved fruits haven - you could get all variety of fruits like mango, papaya, nutmeg and even snake skin fruit. The market was modern and quite big actually but we only visited the section selling the items we wanted to buy. I was happy that I had something to carry back home from Penang.